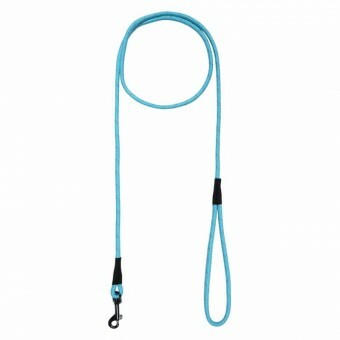 A durable rope leash for everyday use and training. Lightweight material is designed to give a more secure and comfortable grip on the leash. There is a floating ring on the handle that allows the leash to be carried on the shoulder when not in use. The marled colour material has reflective thread sewn into it. The leash is machine- washable.